Does taking notes by hand really help if you're trying to learn data science (or anything else, for that matter)? Note-taking has been a part of the typical process of studying since at least the 17th century, and probably even earlier. For centuries, that note-taking almost always looked the same: students in lecture halls or libraries, taking notes with pen and paper. Today, the options for study are far more varied. 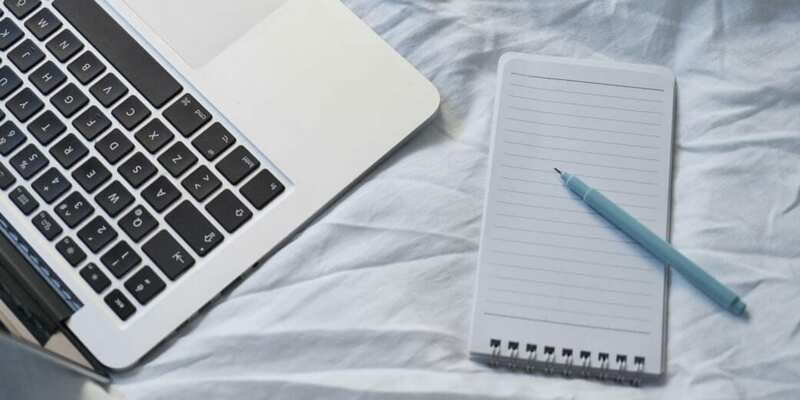 You can take notes the old fashioned way, but you can also type them digitally on a laptop, record explanations for yourself on a phone, or input your biggest takeaways into a flashcard study app for future perusal. Many online learning platforms offer pre-written notes for easy student review. At Dataquest, we do this using the downloadable “Takeaways” PDFs you’ll find at the end of each interactive coding mission. But there’s some real value to taking notes on your own, too. So how should you take notes? Let’s see what the science has to say. This 2014 study written by Princeton scholar Pam Mueller and UCLA scholar Daniel Oppenheimer is the first, and often the only, scientific reference you’ll find in discussions of what’s best for note-taking. But the meaning of their results is often misunderstood. In the study, Mueller and Oppenheimer asked students to take notes on a TED talk video lecture, using either a laptop (disconnected from the internet) or pen and paper. Approximately 30 minutes after the video ended, students were then tested on both their recall of specific facts from the lectures and their ability to assess broader conceptual questions related to the lecture topics. Students who took notes with the laptops slightly out-performed the students who wrote their notes longhand (with pen and paper) when it came to recalling specific facts. But when it came to conceptual understanding, the students who took notes by hand performed much better. That result has produced a plethora of headlines proclaiming that taking notes by hand is inherently superior to taking notes on a computer. But there are some problems with that interpretation. First, as Mueller and Oppenheimer themselves point out, the medium might be less important than the way students were taking notes. Noticing that laptop-using students had typed more words than longhand note-takers wrote, they theorized that because typing is faster than writing, students might be doing more rote verbatim transcription (and thus not engaging as actively with the ideas presented) when taking notes via laptop. In a follow-up experiment, they explicitly instructed laptop note-takers not to transcribe verbatim, and this improved their conceptual scores somewhat, although not enough to catch up to longhand note-takers. Another follow-up experiment allowed students from both groups to study their notes before taking the assessment. 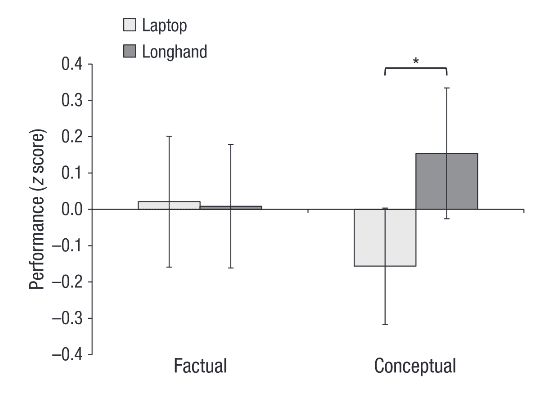 As in previous experiments, longhand note-takers outperformed laptop note-takers. So is longhand note-taking actually better than taking notes digitally? Perhaps. But this is a single study, and each of Mueller and Oppenheimer’s experiments tested only a small number of students (67 in the first experiment, roughly 110 in the follow-ups). Although plenty of news articles suggest otherwise, it’s probably unreasonable to conclude that longhand note-taking is inherently better than taking notes on a computer based on the results of this study alone. Perhaps more helpful in assessing the evidence on effective note-taking strategies is the work of Harvard scholar Michael C. Friedman, who conducted a broader review of the available research and helpfully summarized his recommendations for students in Inside Higher Ed. And although most studies on the subject have focused on formal academic contexts, Friedman’s recommendations are easily applicable to self-directed study (like studying data science online) too. Avoid transcribing or copy/pasting. Phrase things in your own words when writing notes, as this forces you to think about how you understand and how you’d best explain a concept. (If you can’t phrase it in your own words, that’s a good sign that you don’t understand it yet). Review your notes regularly, including on the day you wrote them and repeatedly afterwards. Test yourself. In the context of data science, this probably means trying to write some code before checking your notes to see if you remembered it correctly. At the end of the day, it seems as though what’s most important is that however you take your notes, you phrase them in your own words, and take the time to really engage with and assess your understanding of the concepts as you’re writing them down, rather than simply transcribing everything you’re learning verbatim. And of course, taking notes isn't everything. 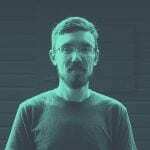 Other factors like the learning material you choose and even whether or not your phone is nearby can affect how effectively you're able to learn data science, too.